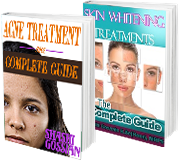 Lightenex® Gold serum is the strongest skin whitening treatment for hyperpigmentation and melasma in Asian, African & Ethnic skins, without the use of Hydroquinone. At first, apply Lightenex® Gold serum on alternate nights. In the second week, increase it to 4 times a week, in the third week, apply five times a week, and then apply every night from fourth week onwards. Massage vigorously into the skin until you feel stinging or tingling of the skin. This subsides within 2 minutes and ensures that the actives have penetrated the skin. 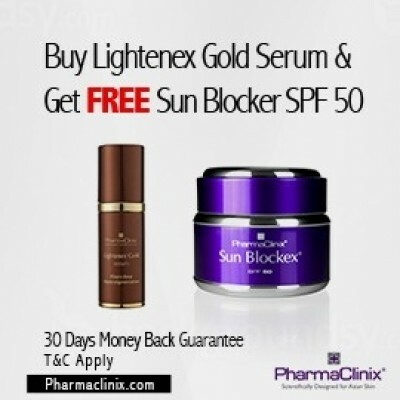 Never use the Lightenex® Gold Serum during the day. Lightenex® Gold serum can be used every night from the first week. Please note that the skin will look darker after 2-3 weeks. This will return to normal when skin old skin is shed.